Minny, Aibileens best friend, is short, fat, and perhaps the sassiest woman in Mississippi. She can cook like nobodys business, but she cant mind her tongue, so shes lost yet another job. Minny finally finds a position working for someone too new to town to know her reputation. But her new boss has secrets of her own. In pitch-perfect voices, Kathryn Stockett creates three extraordinary women whose determination to start a movement of their own forever changes a town, and the way women  mothers, daughters, caregivers, friends  view one another. A deeply moving novel filled with poignancy, humor, and hope, The Help is a timeless and universal story about the lines we abide by, and the ones we don't. Two days later, I sit in my parents kitchen, waiting for dusk to fall. I give in and light another cigarette even though last night the surgeon general came on the television set and shook his finger at everybody, trying to convince us that smoking will kill us. But Mother once told me tongue kissing would turn me blind and Im starting to think its all just a big plot between the surgeon general and Mother to make sure no one ever has any fun. At eight oclock that same night, Im stumbling down Aibileens street as discreetly as one can carrying a fifty-pound Corona typewriter. I knock softly, already dying for another cigarette to calm my nerves. Aibileen answers and I slip inside. Shes wearing the same green dress and stiff black shoes as last time. What do you think motivated Hilly? On the one hand she is terribly cruel to Aibileen and her own help, as well as to Skeeter once she realizes that she cant control her. Yet shes a wonderful mother. Do you think that one can be a good mother but, at the same time, a deeply flawed person? Like Hilly, Skeeters mother is a prime example of someone deeply flawed yet somewhat sympathetic. She seems to care for Skeeter and she also seems to have very real feelings for Constantine. Yet the ultimatum she gives to Constantine is untenable; and most of her interaction with Skeeter is critical. Do you think Skeeters mother is a sympathetic or unsympathetic character? Why? The Help is a beautiful novel, and Kathryn Stockett is a natural storyteller with her finger on the pulse of the human condition. Her characters, their stories, and the complex questions they raise will linger deep in your mind long after you’re done reading. (Reviewed by Sarah Sacha Dollacker). 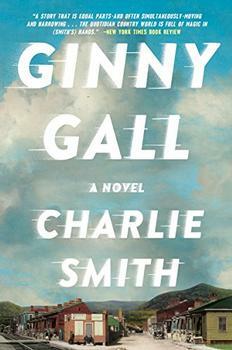 Here is a debut novel by a Southern-born white author who renders black maids’ voices in thick, dated dialect... [an] ultimately soft-pedaled version of Southern women’s lives... a problematic but ultimately winning novel. This heartbreaking story is a stunning debut from a gifted talent. [A] nuanced variation on [a familiar] theme that strikes every note with authenticity. In a page-turner that brings new resonance to the moral issues involved, [Stockett] spins a story of social awakening as seen from both sides of the American racial divide. Starred Review. Assured and layered, full of heart and history, this one has bestseller written all over it. Starred Review. Is this an easy book to read? No, but it is surely worth reading. I love The Help. 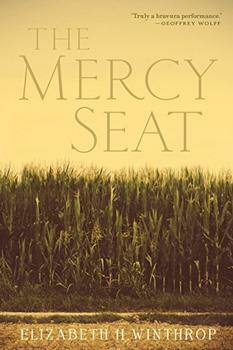 Kathryn Stockett has given us glorious characters and a powerful, truth-filled story. Abilene, Minny and Skeeter, show that people from this troubled time came together despite their differences and that ordinary women can be heroic. A magical novel. Heartbreaking and oh so true, the voices of these characters, their lives and struggles, will stay with you long after you reluctantly come to the end. I think this book is very interesting because we can compare the book with today's time. A wonderful great book! So enjoying and learning! As Skeeter, Aibileen, and Minny begin their project, the Civil Rights Movement is boiling to high heat. It is 1963 and President Kennedy has just spoken out in support of Civil Rights; however, the message has yet to penetrate Mississippi where Medgar Evers was just brutally murdered by segregationist whites. This example of racial violence gives Aibileen and Minny pause as they consider the repercussions of what they are doing with Skeeter, but they decide to forge ahead because things need to change.